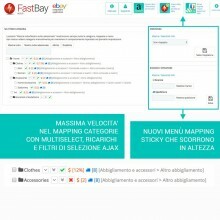 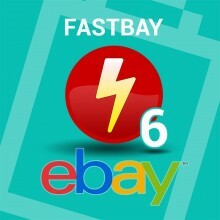 FASTBAY is the new professional solution to sync your Prestashop site with your eBay store in a few minutes ! 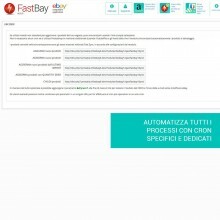 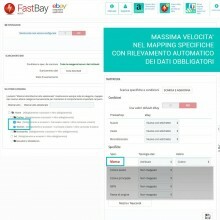 Choose the ebay synchronization system created by sellers for sellers most used in Italy. 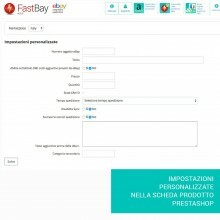 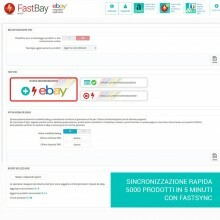 Over 2.4 milion eBay auction are created with Fastbay. 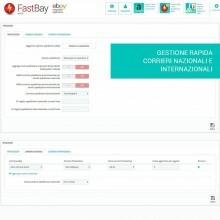 Choose your paymenta system: bankwire, cash on delivery etc..
of all the catalog in a few seconds. 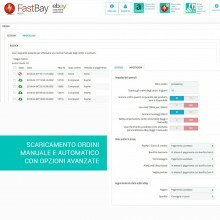 Dedicated reports, exportable to CSV, allow to quickly check the products concerned while avoiding problems during synchronization with eBay and marketplaces that require mandatory EAN. 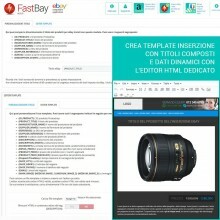 The module is sold to be installed on a single domain, after purchasing must be notified the URL of the site where you will have to to install it . 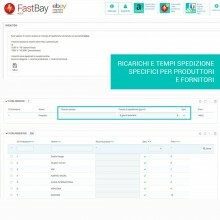 The license is for 1 site only. 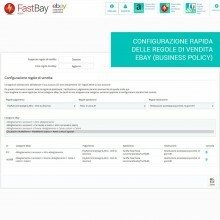 The module is sold to be installed on one domain, for purchase and payment confirmed must be notified of the site URL in which to install it. 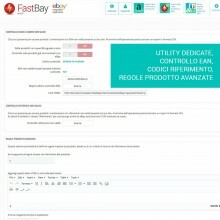 The form will be sent by mail for use with license for 1 site. 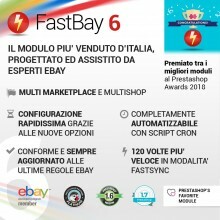 By purchasing the full version you are entitled to 90 days of assistance via ticket dedicated to updates and bug fixes for any of the installed version. 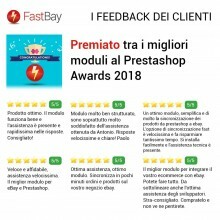 Upon expiry of the 90 days the assistance will be provided by purchasing assistance ticket Prestashop. 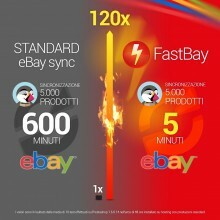 By purchasing the option ZEN 12 months, you are entitled to 3 months of dedicated support ticket via 12 monthly updates to all the latest released versions, including a fee.